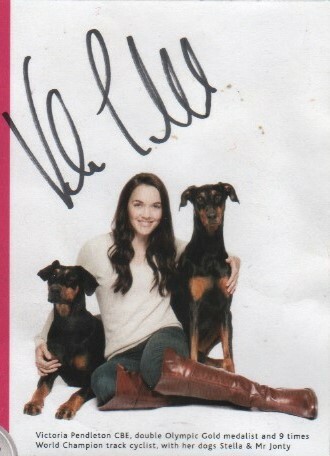 Victoria Pendleton CBE, Double Olympic Gold Medallist and 9 times World Champion Track Cyclist, with her two Dobermans Stella & Mr Jonty. Both are enjoying wearing their KeepCool Dog Coats below! The KeepCool Dog Coats were greatly appreciated by the Belgium Explosive Detecting Dog Squad, as it efficiently served the intended purpose. I wanted to write to you to let you know how much my dogs and I love your KeepCool Coat. In addition to enabling us to enjoy warm walks, without the dogs over-heating, we attend Agility classes regularly with two of them, and it really really helps. The coats are smart and stylish and particularly easy to fit with good length straps and adjustable velcro. 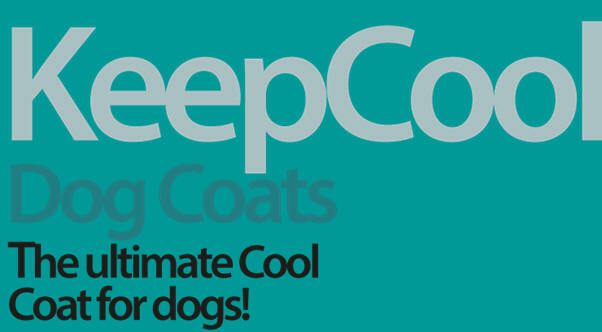 In fact having tried many other coats on the market the KeepCool Coat is totally different and way better than any others I’ve seen, in terms of how it works, fits the dog, it doesn’t slip and the fabric seems to stay wet for much longer. It is brilliant for all outdoor activities (before, during and after), walking, obedience, and car travel. 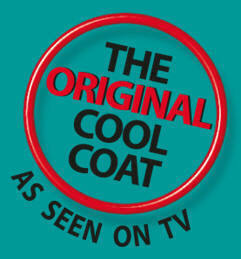 The coat feels cool and soft to the touch, is lightweight, breathable, durable, comfortable and does not drip. The coat keeps the dogs cool for up to 4 hours in hot temperatures, a lot longer on a normal day, although obviously we keep the dogs in the shade too where possible. The fact that it helps an already overheated dog reduce its temperature to normal within 5-10 minutes relieving stress and that it has helped dogs with illnesses that cause breathing difficulties in the heat, and saved lives, is fantastic. I was particularly impressed by the environmentally friendly material, as it’s easily activated by water, and puts moisture into the coat. I often carry a bottle of water to enable me to re-activate the coat after many hours when it starts to dry out, and it is damp again immediately – dog immediately cool once more – a brilliant re-useable product time after time! Other dog owners are amazed when I show them how these dog coats help keep our dogs cool without being wet. You have also been especially helpful with size advice and I love all the gorgeous colours. It has also washed well at a low temperature and the storage bag is really useful too. Overall, I wish I’d discovered you and your product years ago, to make the dog’s life more comfortable, and enable them to have safe fun in the sun! Happy healthy dogs = happy owner!